September 12, 2016 By Denny Hansen & filed under All Articles, Rifles & Carbines, Weapons. Inland Manufacturing M1 Carbine is as tough as the granite rock it’s lying on. Robust, reliable and sufficiently accurate, it’s a piece of American history. The U.S. Carbine, Caliber .30 M1—usually referred to as the M1 Carbine or simply .30 Carbine—was adopted by the United States in September 1941. Recognizing the 75th anniversary, Inland Manufacturing is offering several versions of this iconic firearm. The first ten carbines were made in November 1941 as tool room models. 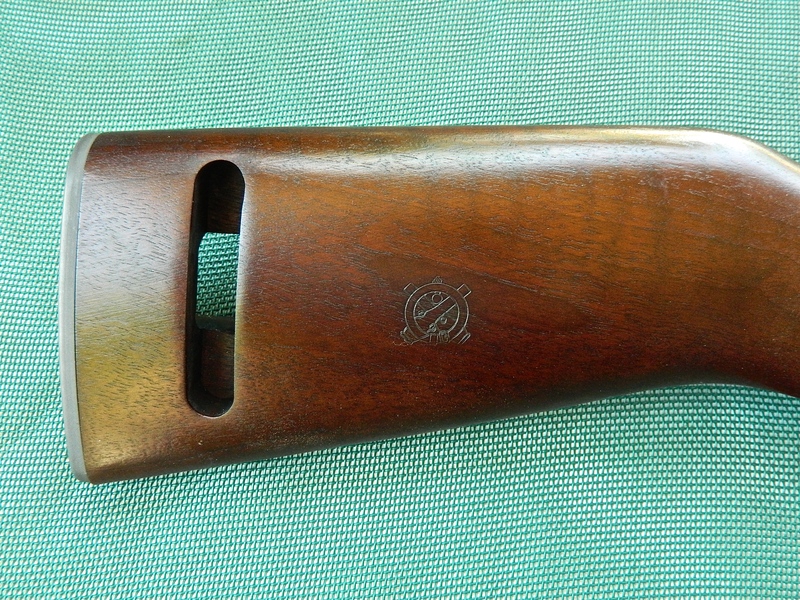 Serial numbers 1-5 were manufactured by Inland and numbers 6-10 were made by Winchester. The carbine was the most produced American small arm of World War II. It remained in service in the United States from 1942 to 1973—a service length only exceeded by the M16 family of weapons. 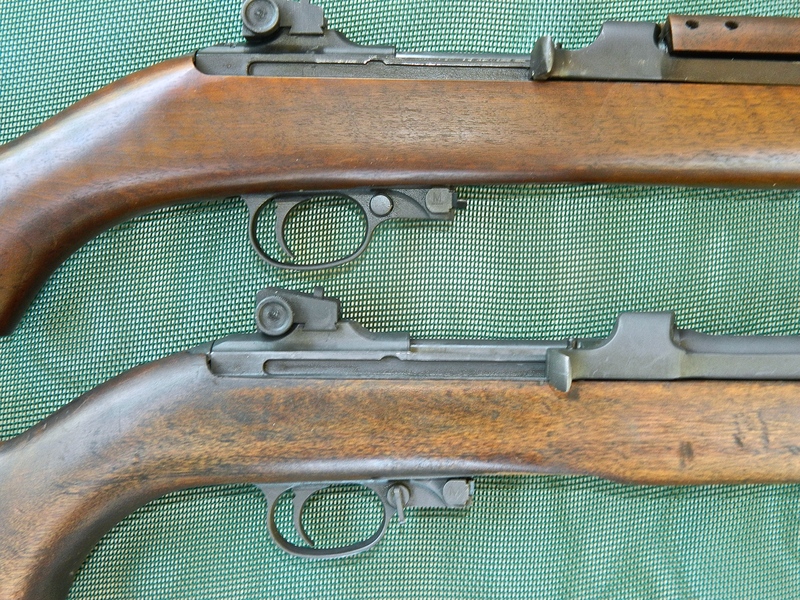 Originally a division of General Motors, Inland Manufacturing made more M1 Carbines than any other manufacturer. Out of approximately 6.5 million M1s, Inland produced 3.5 million. The current Inland Manufacturing facility is located just two miles away from the original plant in Dayton, Ohio. Inland Model 1945 (top) uses button-type safety. A lever safety replaced the button on later versions. Both are shown in “safe” position. Inland carbine (top) has M2 mag catch for use with 30-round magazines. It will hold bolt back after last shot is fired if magazine is equipped with an M2 follower. The test gun had one of the best-looking walnut stocks I have seen on a service-grade carbine, with a dark zebra-stripe pattern. The stock is of the low wood type that does not cover the operating slide. The stock was complemented by a dark gray Parkerized finish. The stock was authentic right down to the stamped ordnance wheel with crossed cannons cartouche and “I” cutout for an oiler, which attaches the sling at the rear. By contemporary standards, the sights are hard to pick up quickly. But the small aperture on the rear sight offers a very fine sight picture and is capable of good accuracy. 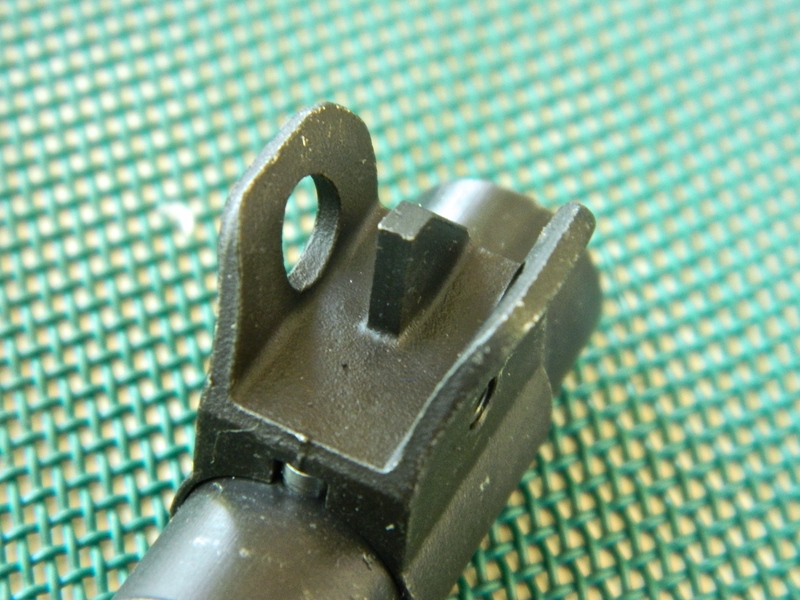 The rear sight is adjustable for windage via a knob on the right side. Elevation gradations are set nominally for 100, 200, 250, and 300 yards. The front sight is not adjustable and consists of an .086-inch wide blade. Both sights are protected by wings. The feed ramp on the 18-inch barrel had a mirror polish for sure feeding. The magazine supplied with the carbine had a blued finish and is the type most commonly encountered—a 15-rounder that does not lock the bolt to the rear when the last shot is fired. But the test carbine had an M2 mag catch for use with 30-round magazines. It will hold the bolt back after the last shot is fired if the magazine is equipped with an M2 follower. 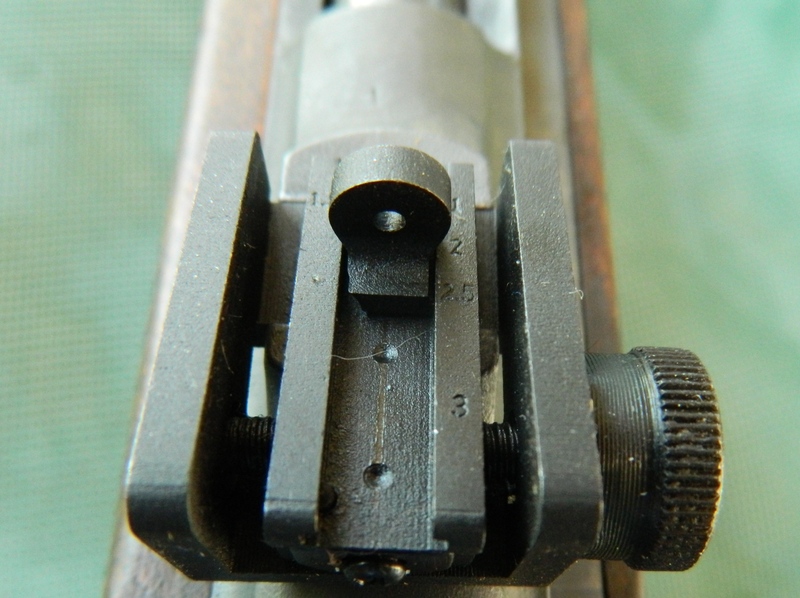 Inland M1 Carbine uses round bolt. A button on the charging handle manually accomplishes locking the bolt to the rear for administrative purposes. When the charging handle is pulled to the rear, push the button and it will lock into a corresponding slot on the receiver. To release, simply pull back on the charging handle and let it go home under spring pressure. The Model 1945 comes in a sturdy cardboard box. It is lined with closed-cell foam that is cut to exactly fit the carbine and with a convoluted foam lid. The carbine comes with one magazine and a cable lock. Test carbine came with a barrel band with integral bayonet lug. Inland Manufacturing also offers a model without this “evil” feature for states that disallow them. Disassembly of the carbine is easily accomplished. First, loosen the screw on the barrel band, depress the band spring attached to the stock, slide the barrel band forward, and lift off the upper handguard. Lift the barreled action out of the stock. Push out the pin at the front of the trigger guard from left to right and slide the trigger group rearward off the frame. Remove the recoil spring and guide by pulling it back and lift it out of the receiver. 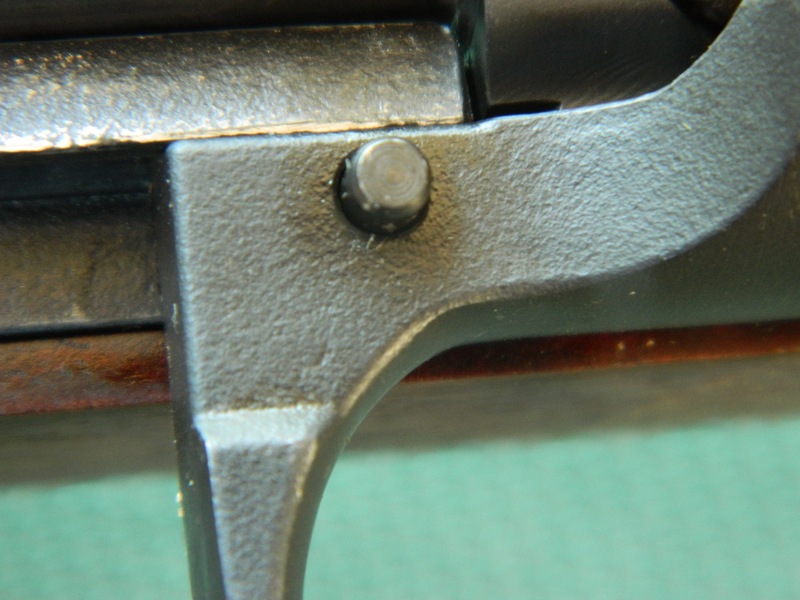 To remove the operating slide, line up the slide with the two notches on the barrel and receiver and rotate it out. The bolt can now be removed. No further disassembly is normally needed or recommended. Like most firearms of the era, the barrel must be cleaned from the muzzle. Take care not to damage the rifling at the front of the barrel. Reassemble in reverse order. It actually takes more time to read this than it takes to field strip the carbine. Elevation gradations on rear sight are set nominally for 100, 200, 250, and 300 yards. Windage is adjusted with knob on right side. Texas Armament & Technology/Aguila Ammunition has teamed up with Inland Manufacturing and relaunched a specialty .30 Carbine round commemorating the 75th anniversary. The load will be available in 300-round bulk quantity and packaged in a plastic MTM .30-caliber ammo can co-branded by Aguila and Inland. The ammo will be available at Sportsman’s Warehouse, Academy Sports, Cabela’s, Big 5, and selected local dealers. For a limited time, special offers will be available with the purchase of Inland M1 Carbines. Like the original, the load will have a 110-grain full metal jacket. Published ballistics show a muzzle velocity of 1,990 feet-per-second with 965 foot-pounds of muzzle energy. Front sight is not adjustable and consists of .086-inch wide post. Both sights are protected by wings. 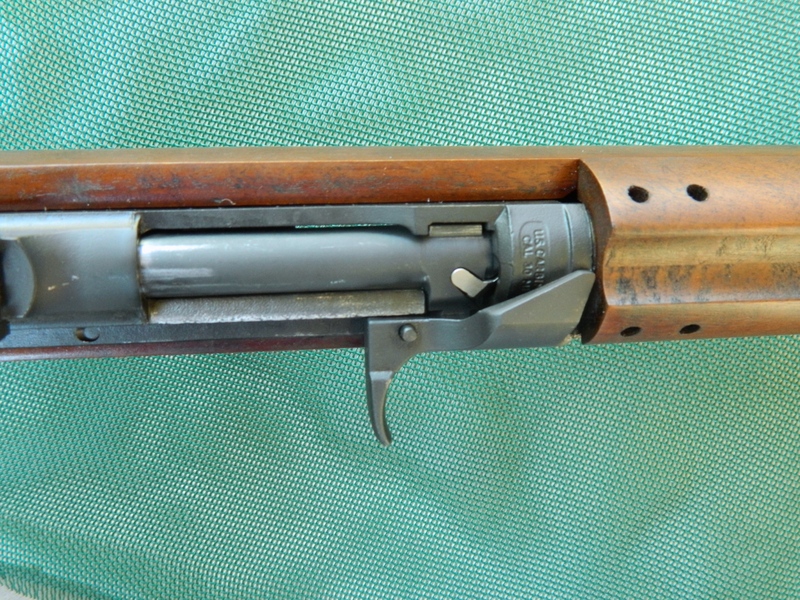 The .30 Carbine has a general reputation for being a poor fight stopper, but I have often wondered if this may in part be due to the enemies it faced—fanatical Japanese in World War II and Chinese wearing heavy clothing and often chemically altered in Korea. On the other hand, real-deal gunfighters like the late Jim Cirillo were fond of it. Consider for a moment that the .30 Carbine has roughly twice the muzzle velocity and almost three times as much muzzle energy as a 124-grain 9mm Luger. Modern ammunition such as Hornady’s 110-grain FTX Critical Defense breathes new life into the 75-year-old round. Button on charging handle holds bolt to the rear for administrative purposes. There was a time when .30 Carbine magazines were dirt cheap. Years ago, I bought 100 original GI mags that were lightly pitted for $50. They were like new again after the bodies received a light sand blasting and were refinished. Today, just one of those mags may fetch $30. Aftermarket magazines may not be appealing to the purist collector, but they are attractive to those who actually get out and shoot. In order to shoot more and reload less, I procured six 15-round and two 30-round mags from ProMag Industries to be used with the issued Inland magazine along with a couple of original GI mags. The lion’s share of the ammo used was the 300-round can of Aguila/Inland ammo, but I also used 100 rounds of PMC ball I had on hand and 40 rounds of Federal 110-grain Hydra-Shok soft points just to see if the carbine would feed them reliably. Starting with the soft points, the carbine digested them with no problem. Stock is authentic right down to the stamped ordnance wheel with crossed cannons cartouche and “I” cutout for an oiler, which attaches the sling at the rear. When most of the PMC had been expended, a malfunction occurred. A round would feed, but the bolt stayed slightly out of battery and wouldn’t allow the carbine to fire. The round was manually ejected, and the same thing happened. This went on for three more rounds. No problem was obvious, so I field stripped the carbine and finally found a small piece of brass that had been ripped off the rim of one of the PMC’s cases and stuck under the extractor. Bolt cleaned. Carbine reassembled. Problem solved. Though the M1 was never intended to be a precision long gun, I shot it for groups with the Aguila ammo standing from 50 yards. Fifteen-round groups averaged right at six inches. Not bad for a 15-round group fired in as many seconds. I fired the entire 300 rounds of Aguila ammo from the issued and ProMag magazines without a single malfunction of any type. 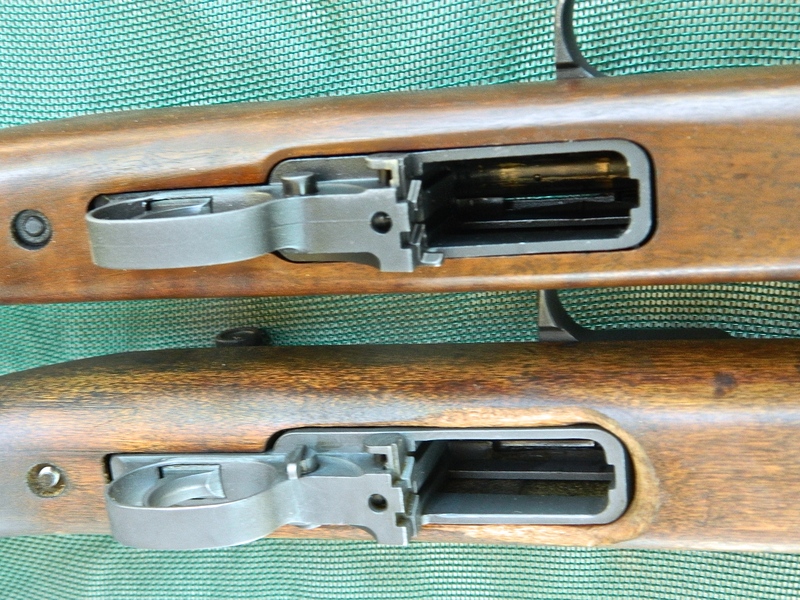 The M1 Carbine was my generation’s equivalent of the ubiquitous Ruger 10/22 and I had a blast (no pun intended) putting the Inland M1 through its paces. 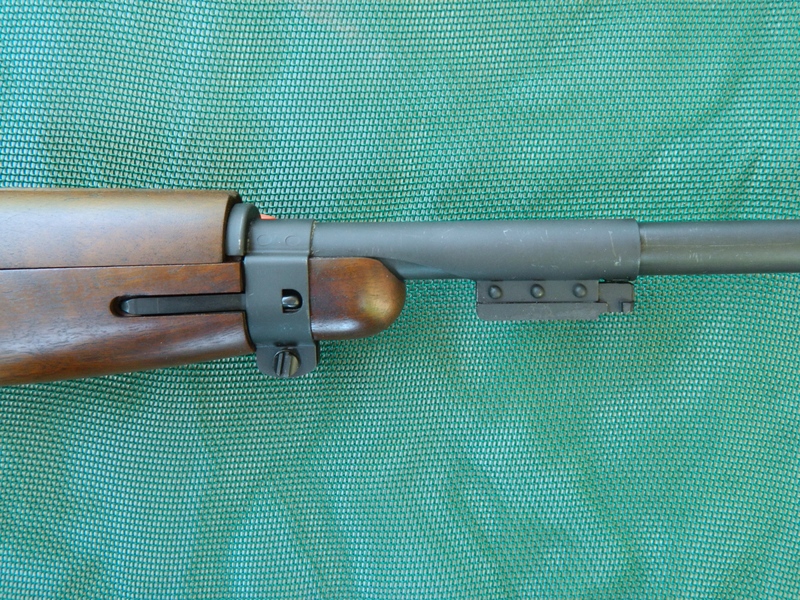 In addition to the test carbine and the aforementioned Model 1944, Inland offers an M1A1 with folding “paratrooper” stock that Inland also manufactured during the war; a pistol version called the Advisor; the “Jungle” with threaded muzzle and conical-shaped flash hider; and the M1 “Scout” with conical-shaped flash hider, black textured stock, and aluminum handguard with Picatinny rail for mounting optics. Inland is also offering three versions of the 1911 pistol and an M37 trench gun made exclusively for them by Ithaca Gun Company. I look forward to reviewing these historic firearms in future issues. 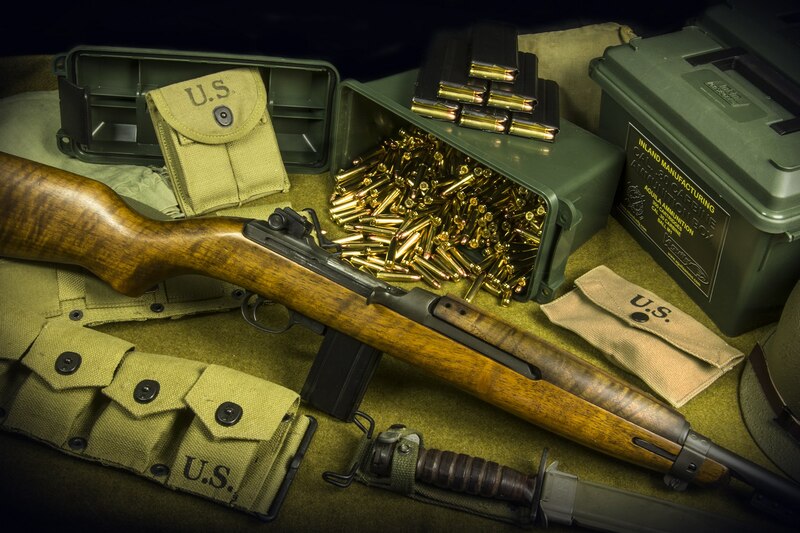 Whether for a collector or shooter, the Inland Manufacturing M1 Carbine is as close as you can get to the one manufactured during World War II. It’s a light, fast-handling gun that’s great for re-enactments and general plinking. It can also put meat on the table or be used for self-defense with equal aplomb. Above all, it’s a genuine piece of American history.